This blog post is primarily aimed at young adults thinking about moving to the Central Valley to teach or work. I offer advice on everything from making the decision to move to packing to dealing with homesickness. I moved to San Jose, Costa Rica 3 months after I graduated from college in 2016. I had a job lined up when I moved, but it’s not totally necessary. Many teachers I met took a TEFL course in Manuel Antonio/at a beach before moving to San Jose to find a job. It’s a good option, although rather expensive. All of my advice is based on my experiences, or the experiences of friends who went through similar situations. 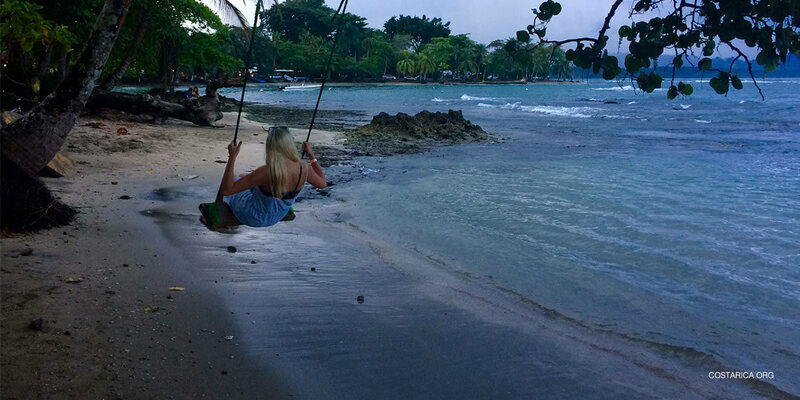 I’ve split the blog into three parts: Getting Ready to Move to Costa Rica, Moving to Costa Rica 1 (Part two) & Moving to Costa Rica 2 (Part three). Finding an apartment in San Jose or the surrounding neighborhoods and suburbs is actually pretty easy. Chances are you’ll find exactly what you want. If you’re looking for a more affordable option, there are a ton of houses and apartments that rent single rooms. You can also find two bedroom apartments to share, studio apartments (more expensive) and if you’re really desperate, tiny “apartments” that are basically closets. You might have to visit a lot of bad apartments, but you’ll eventually find one that will work for you. I’ve lived in 4 different apartments around the San Pedro (close to the University of Costa Rica) area. I’ve found many through Facebook pages like this one, this one and this one. I’ve also used a site called Encuentra24 to find apartments in San Jose. If you’re living close to a university (there are several), you can often find students advertising available rooms in their apartments or houses. Some people also use Air B&B to find really nice apartments or houses to live in. You just have to negotiate a monthly rate with the owner. You’ll find a lot of foreigners and young people living in San Pedro. Neighborhoods close to San Pedro include Los Yoses, Barrio Escalante, Sabanilla, Vargas Araya, Guadalupe, Moravia and San Jose Center. I’ve known quite a few people who stay at a hostel for the first few weeks while they look for an apartment. That is a really good way to get your feet on the ground and meet people. Some schools will help you find housing or even offer it, so talk with them before you start looking. Step 1: Figure out where you want to live. If you know where you’ll be working, learn what neighborhood your school is in and what neighborhoods are surrounding it. Try and find a place within a few miles of where you’re working. Remember that traffic in Costa Rica is bad, so you don’t want to be far away. I prefer to be within walking distance, if possible. Step 2: Find a potential roommate by talking to your school/job and asking them if anyone else is looking for an apartment. Step 4: Post on a Facebook page that you’re looking. You’ll see a lot of people looking for roommates, single rooms, furniture etc. Step 6: Set up meeting times with roommates and landlords and start looking. Make sure you take proper safety precautions of course. Take a friend and let people know when and where you’re going. I’ve never had any issues, but you never know. Cuánto cuesta el apartamento? How much does the apartment costs? Hay un depósito? Is there a deposit? Hay un contrato? Is there a lease? Se permite mascotas? Are pets allowed? Hay parqueo? Is there parking? Qué tan seguro es el barrio? How safe is the neighborhood? How much are apartments in Costa Rica? It really depends on what you’re looking for. A two bedroom apartment close to a university is around $600-$700 a month. Studio apartments that I’ve lived in have been kind of pricey if you’re living alone ($400-$600). If you’re renting a room and sharing a kitchen, bathroom and laundry room, you can probably get away with paying $150-$250 per month. Yes and no! If it is fully furnished it will usually be advertised as “amueblado” or “con muebles”. Semi-furnished: “semi-amueblado”. If you need a furnished apartment, don’t worry, there are plenty. Read more about shopping for your apartment here. Most likely, yes. If you move into an empty room or an Air B&B, maybe not. Just don’t be a jerk and give plenty of notice before you leave if you’re not signing a lease. You will most likely have to pay deposit as well. Again, it depends on the apartment. Most places have washers, but no dryers. It’s pretty common to hang dry your clothes. Some places have washers like you’ll find in the US. Many, however, are “semi-automatic.” If you’ve never seen one before, you’ll be confused at first. The semi-automatic washers have two parts: the washer and the spinner (centrifuge). To do laundry you put your clothes in the washer with soap and fill it with a hose. You choose your setting and let it run for about 15-20 minutes. Then you need to drain the water and put the clothes into the spinner. The centrifuge will get excess water off the clothes. This part can be tricky and incredibly frustrating, depending on the machine. The centrifuge has to be weighted evenly. If you did it right, it will spin at a high speed, making very little noise. If the clothes are not weighted evenly, it will move sluggishly and make a loud, horribly annoying thumping noise. After you spin the clothes, you hang them out to finish drying. I personally HATE semi-automatic machines. Probably because the one I used was half-broken. I prefer apartments with fully automatic machines. Bugs. Spiders, cockroaches and ants are pretty regular guests. The cleaner your apartment is (and the cleaner your neighbor’s apartment is) the less bugs you will have. Be wary of dark, wet places. If you are experiencing more than a 1-3 cockroaches per week, ask you landlord to fumigate. Most of my landlords have fumigated regularly and it’s totally within your right to ask them too. Lots of gates, locks, barred windows and barbed wire. It’s normal everywhere. It doesn’t necessarily mean the neighborhood is unsafe. Electric showers: When you turn them on, make sure you hear the shower head turn on. The more water pressure you have, the colder the water will be. If the lights go out, don’t shower if you can help it because the water will be freezing. Regular power outages during the rainy season. Water being turned off semi-regularly all year. Keep extra full water bottles for drinking, washing your hands and brushing your teeth. Cats on the roof. They’re loud. No hot water in the the sinks. First step: Download WhatsApp. Learn to love it. Eventually annoy the crap out your friends in the US by begging them to download it. You’ll get a “Tico” phone number once you buy a SIM card. If you download WhatsApp while you’re still at home, you’ll use your original number for WhatsApp and Tico number for texts or phone calls outside of WhatsApp. You can also download WhatsApp on your Tico number once you have it, so they’re both the same. It’s easy and cheap to use your phone in Costa Rica–as long as your phone isn’t blocked internationally. If your phone is blocked, that means it won’t work on a SIM card from Costa Rica. Iphones are not blocked. When I moved here I had a blocked phone (Samsung Galaxy 5). Many Samsung phones ARE blocked, so check with your local cell phone provider to make sure your phone isn’t blocked. If your phone isn’t blocked, all you have to do is go to any service provider in Costa Rica (Claro, Movistar, Kolbi), buy a SIM card (1,000 colones, $2) and add “saldo” (put money on the phone). As long as your not streaming a lot of video, a little “saldo” goes a long way. If you’re using Wifi at home, and maybe at work if it’s available, you can get by on 2,000 ($4) per week. I usually just put 10,000 ($20) on my phone at a time and it lasts me over a month. Sometimes two months. You can recharge at supermarkets, convenient stores, banks and through your online (Costa Rican) bank account. Make sure you read the Safety Tips section (below) regarding your cell phone. Click here for a really comprehensive list of Tico phrases and slang. If you already speak a little (or a lot of) Spanish when you get here, great! If not, great! Knowing some Spanish definitely helps, but you can get by without Spanish if you need to. My first suggestion is learning Tico slang words and phrases. That will help a lot regardless of how good your Spanish already is. My second suggestion is to ignore all of your fears and apprehension about using Spanish. Just dive in, ask a lot of questions, take notes and practice as much as you can. I have held myself back A LOT because I was embarrassed by my shaky Spanish. Get over it. Make mistakes. Have fun. You’ll learn so much faster and Ticos will appreciate your effort. Third and final suggestion: learn these helpful phrases! Like any other country in the world, there are certain risks in Costa Rica, but as long as you use your common sense, keep in mind that you’re in a tropical country, and are aware of what’s going on around you, Costa Rica is a safe country to live in. Here are some general safety facts and tips to keep in mind when you are moving to Costa Rica. Rip tides are a serious concern on many beaches in Costa Rica. They are currents that can pull you both out to sea and under the water. They’re hard to see, and difficult to escape from. Don’t try to swim towards shore. You will just tire yourself out. Swim parallel to shore until you escape, them swim to shore. When in doubt, don’t risk it. Almost every single Tico I have met has had some sort of ocean/water scare in their life. Three of my friends got caught in a rip tide one time. It took almost an hour to get out and they only survived because a surfer noticed them struggling and came to help. Common sense is key when it comes to bugs and animals. When you’re traveling, listen to guides and don’t stick your hands randomly into the flora and fauna. Don’t grab trees or vines randomly. Don’t use flash photography when taking pictures of animals, especially monkeys! Monkeys look cute until 30 of them are screaming at you from the trees. (Not a personal experience, but I did watch it happen from a distance. Mild earthquakes are pretty common here. Click here to read about what to do in case of an earthquake. Additionally, I suggest you make a plan in case a really bad earthquake strikes while you’re in Costa Rica. For example, my friends and I agreed on a place to meet in case of major damage and we couldn’t contact each other. Traffic in San Jose is kind of insane. If you use good common sense and pay attention, you should be fine. Be very cautious when crossing streets. Watch out for motorcycles when crossing. They come up unexpectedly between cars, on either side of cars; they run red lights; they drive the wrong way down the street; they are everywhere. People text and drive like crazy, don’t expect drivers to see you. ALWAYS wear your seatbelt (duh). Be careful even on sidewalks. Buses underestimate the width of the street a lot and I’ve almost been hit while standing on the sidewalk. If you’re using headphones, keep the volume low enough that you can still hear cars (and people) approaching. Petty theft is a problem that you should be aware of in Costa Rica, especially in San Jose and popular tourist destinations. Watch out for suspicious cars and motorcyclists (especially if there are two people on the motorcycle). It’s common for 2 thieves to approach you on a motorcycle. One steals your belongings, the other drives. If someone is robbing you, give them your things. It’s common knowledge that thieves here usually only get violent if you don’t cooperate. You health and safety is more important than your cell phone. Don’t be too attached to your phone. Phone theft is so common here. If your phone really is your life and you can’t live without it (I hope not), maybe consider buying a cheap phone that you don’t care about when you’re walking around San Jose, especially at night. Have a backup plan in case you are robbed. Lock your doors. Car doors, house doors, gates, etc. Common sense. Only take official red taxis with the yellow triangle. No pirated taxis. If you have a bad feeling, get out of the situation. Better safe than sorry.